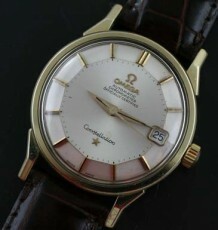 Rare vintage Omega Chronometer Constellation watch with high grade movement. 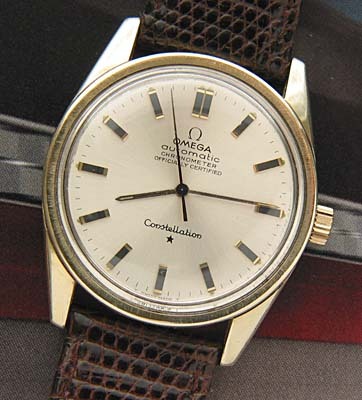 The Constellation has been the top of the line Omega watch for deacdes. 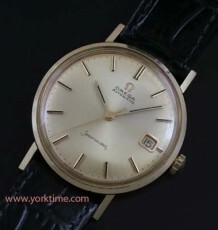 A vintage Omega Constellation Chronometer, with gold capped case that has a very subtle bark finish on the flat gold bezel. 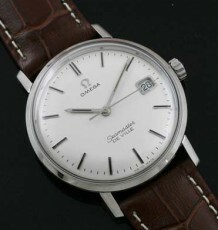 The Constellation Chronometer dates back to the 1950’s and has been in Omega’s line-up ever since. This particular watch has an original satin colored dial with ebony inlaid hour markers.The 24 jewel Omega caliber 712 Chronometer grade movement which is adjusted to 5 positions, was just serviced by my watchmaker and is keeping excellent time. 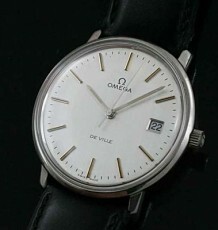 The serial number of the movement in the 23 million range dates the watch to 1966. The gold capped case features a heavy 14 karat gold bezel and case top cladding. 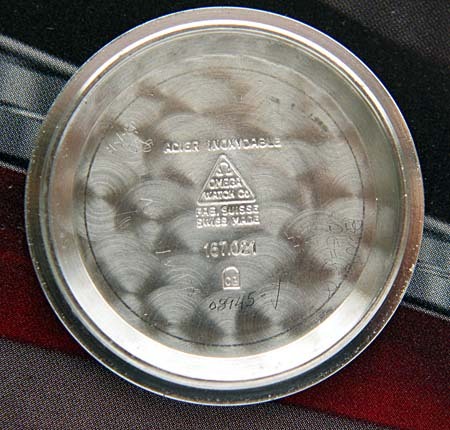 This model is identified as reference 167.021, stamped inside the heavy screw on caseback, which still has a crisp gold Observatory medallion in the center of the back, showing all of the stars around the observatory. The case measures 33 mm wide by 39 mm long. The watch will be sold with the buyer’s choice of black or brown leather straps.